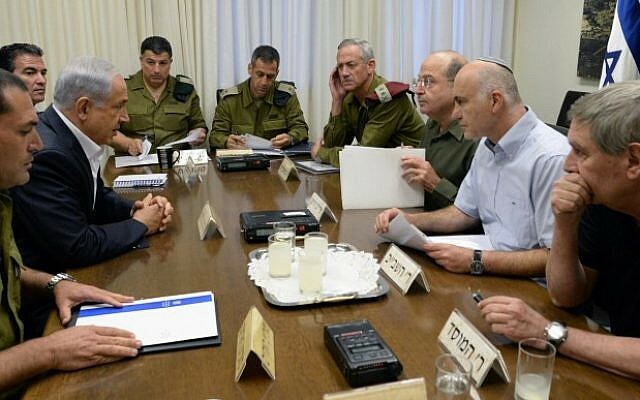 Prime Minister Benjamin Netanyahu asked the Shin Bet security service to tap the phones of the heads of the Mossad and Israel Defense Forces in 2011 out of unsubstantiated concerns they might be leaking sensitive information to outsiders, according to a bombshell report by an Israeli investigative program Thursday night. The Prime Minister’s Office denied the report by the Uvda television program, saying it was a “total distortion” of the efforts made to protect state secrets. 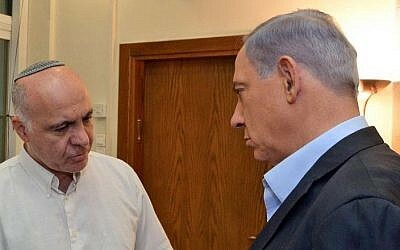 According to the report, Netanyahu asked the former head of the Shin Bet, Yoram Cohen, to use his security service’s “special capabilities” to monitor the communications of senior defense officials, including former IDF chief of staff Benny Gantz and former head of the Mossad spy agency Tamir Pardo. There was no evidence or specific concerns that Gantz and Pardo were leaking state secrets. The eavesdropping was meant as a “preventative measure,” according to the sources of the news program. Pardo, who was interviewed by Uvda’s host Ilana Dayan, said he was shocked by the revelation. “I don’t want to believe that in the State of Israel, which is a democratic country, the prime minister would ask the head of the Shin Bet to listen in on the chief of staff or myself. If [Netanyahu] didn’t believe in us, he could make us end our tenures within 10 minutes,” Pardo said. Netanyahu’s office said the report was “totally unfounded,” but also appeared to acknowledge that at least some aspects of it were true. “The claim that the prime minister asked the head of the Shin Bet to listen in on the chief of staff and head of the Mossad is totally unfounded. It is a total distortion of the systemic efforts that are done occasionally in order to protect sensitive information of the utmost importance to the security of Israel,” the Prime Minister’s Office said in a statement. “The decision about which measures to use and against which individuals is left up to the authorized officials,” Netanyahu’s office said. The revelation about the prime minister’s alleged eavesdropping request was part of a larger report aired by Uvda on Thursday night about the security cabinet’s discussions and decisions in 2011 as Israel considered carrying out a strike on Iranian nuclear facilities in order to prevent the Islamic Republic from acquiring a nuclear bomb. 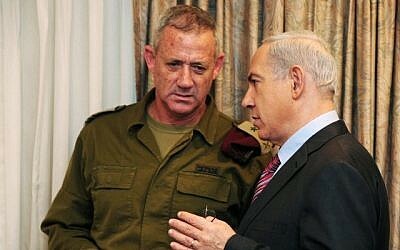 Pardo told the television program that Netanyahu instructed then-IDF chief Gantz to get the military ready to carry out an attack on Iran within 15 days of being ordered into action. That order, Pardo said, carried enormous significance, leading him to contemplate resigning rather than participate in an attack. “It’s possible that someone in the United States would hear about it in one form or another, and that would motivate it to do something,” Pardo said. 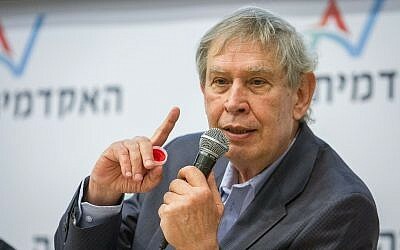 Pardo, who was selected by Netanyahu to lead the Mossad and took over at the beginning of 2011, recalled that he began to look into whether the prime minister had the authority to order measures that could lead to war. “I made inquiries about everything I could do. I checked with previous Mossad chiefs. I checked with legal advisers. I consulted anyone I could consult in order to understand who is authorized to give instructions about the whole issue of starting a war,” he said. Pardo’s predecessor, Meir Dagan, was vocally critical of Netanyahu and plans to attack Iran after leaving his post. Netanyahu’s decision to replace him with Pardo was reportedly motivated, at least in part, by a desire to put someone in place who would support military action on Iran. Among the people Pardo spoke to was the attorney general at the time, Yehuda Weinstein. At some point, Pardo admitted, Netanyahu became aware of his activities. In the end, Pardo and Gantz both objected to Netanyahu’s plan and the prime minister dropped the order, he said. Rejecting heavy criticism from Israel, world powers eventually signed the 2015 Joint Comprehensive Plan of Action with Iran, lifting heavy sanctions on the Islamic Republic that had been in place for years, in exchange for the freezing of much of its nuclear program. On May 12, 2018, US President Donald Trump stopped participating in the nuclear deal, declaring that sanctions would be reimposed until the agreement were altered to place further restrictions on Iranian nuclear armament and long-range missile development program. Pardo’s term as chief of Mossad ended in 2016, and the spy agency is now headed by Yossi Cohen. 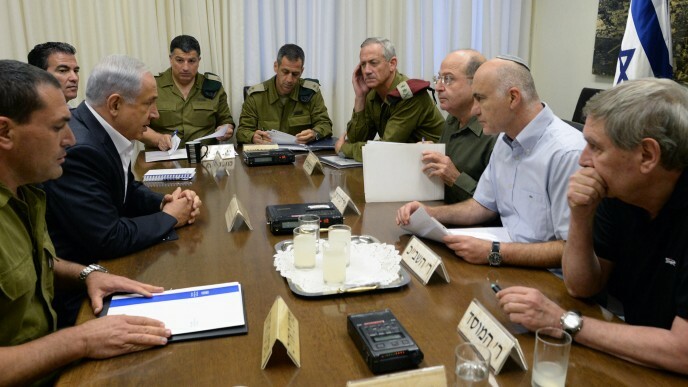 Gantz’s tenure as IDF chief of staff ended in early 2015. He was succeeded by Lt. Gen. Gadi Eisenkot.